and Ross prepared the questions. The bet started from 10 Bugs and later girls looses the apartment. is Chandler’s job. Who can forget Rachael’s steady hand and the way Joey and Chandler enters into the apartment after winning the quiz. Chandler and Phoebe date scene when they both try to seduce each other. hates him. Joey and Ross came to know that dessert prepared by Rachael is a disaster and convinced everyone to disclose it to Rachael. Monica and Chandler trying to show Chandler is a nice person, Joey and Ross wanted to attend Janine’s Thankgiving party. and told him about the weakness of the other players and Ross take revenge in the second half. Funny moments – When Chandler try to convince Janice for leaving him on Airport and get back to home but he failed and finally he had to take the plane to Yemen. Ross calling him Red Ross(Angry Ross). Chandler: What would you give to a kid if he wanted a ticket to play with? Ticket Counter Attendant: Are you traveling with a child? Chandler: No. All right, y’know what, she’s (Points to Janice) gonna think that I’m handing you a credit card, but what I’m really gonna do is hand you a library card. Ticket Counter Attendant: Ah, sir a ticket to Yemen is $2,100 and we don’t take library cards. Plot – Everyone decided to take some resolution on new year. Ross Challenged Chandler for taking resolution of not making fun of others. Rachael of not doing gossip. Ross bought leather pants as a part of his resolution and wearing the same he went to his girl friend place. Joey learns guitar from Phoebe. Rachael find out about Monica and Chandler’s relationship. weird way to put the pants but all gets failed. Monica clicking the photos all the time. didn’t speak a word. Joey melts seeing that he is more important to Chandler than Kathy. son treated her eye and she called him at home for date. Funny Moments – Chandler commentary while inside the box. Everyone reaction on Monica and Richard’s son relation. finger), it proves how much I care about my friendship with Joey. And three (holds up a third finger), it hurts! Finally, I made the list of my all time favourite TV series. I like mostly comedy serials so I am sorry you will not get any of the saas bahu serial name or some serious stuff in this list. 1. Sarabhai vs Sarabhai – Only for this TV series I can say that “I have watched it’s all episodes for 100 times or more than that”. For me it is the definition of classic comedy. When all the nice actors are present in one place, then you can expect such type of output. Every character was so well portrayed by the director, whether it is the character of Narad Muni Indu or Poet Roshesh or sophisticated Maya or middle class Monisha, you will find all of them lovable and entertaining. Guest appearances of Madhu Fufa and gadget freak Dushyant work like spices. Favourite character – Sahil played by Sumeet Raghavan. Sahil is very quiet and calm, mostly get stuck between his family member’s fight. 2. Friends – A Story about Six friends hanging out together. I will not say the concept is very good, but something is there that keeps you remain attached to this show. May be the actors and their comic timing. Somewhere I found the expression of the actors and dialogue made a good combo. Every character is different and funny in their own way. 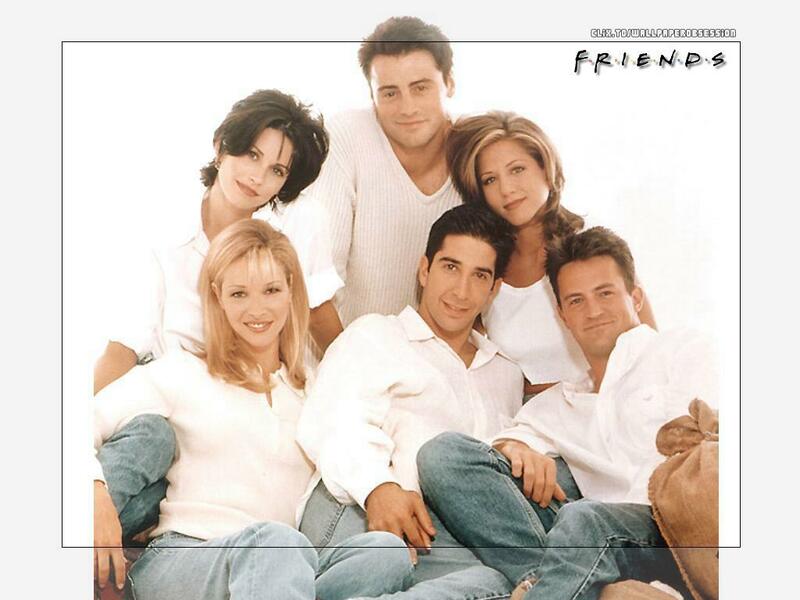 Like you will find humour in Ross’s dullness or Phoebe’s innocence or Monica’s bossiness. Let’s talk my favourite character Chandler. He is known for his sarcastic sense of humor. I feel like the humor is coming inside from the actor, he is not acting, but this is real. 3. Taarak Mehta ka Ooltah Chamah – Although these days this show lost its originality and become more like daily soap, but I like watching its old episodes. The best part of this serial is that director try to deal with some social issues in a comic way. Every character has their own style and nature. The Concept of the show is very good, people from different religion lives in the same society happily. 4. Small Wonder – It is the part of my childhood memories. Who can forget Vicki the Robot, Harriet and Jamie? This show has the different theme. But I don’t like its Hindi remake “Karishma ka Karishma”. I think artist like Tiffany Brissette and Emily Schulman has created that magic on screen. Other characters of this show are also lovable like Ted, Jamie and Joan. 5. Dekh Bhai Dekh – There is no comparison of Diwan family in this world. Madness of Sameer(Shekhar Suman) and chachi (Bhavana Balsavar), simplicity of Balraj, beauty of Suhashini, Modern Dadi, Naughty Sanju, Cute kirti, more friend less chachu Sahil every character of this show is unforgettable. 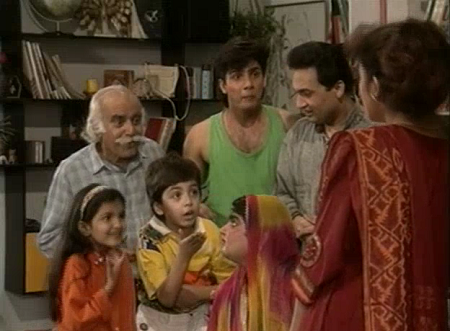 Still we remember the episode of hypnotism..”Kirti tu Sanju hai, Sanju tu Kirti hai”.Small appearances of Lilliput were like an added bonus to the viewers. 6. I Dream of Jeanie and Bewitched – If you are an 80-90s child then you will definitely connect with the next two lines. When I was in 5th standard, my 6.30 to 7.30 time slot was fixed for these serials which was telecast on Sony channel(No, Jeanie was not the part of CID team. At that time Sony telecast others serials as well apart from CID and Crime Patrol.) These serials made you feel like living in the magical world. Jeanie and her mischievous act gave you a laughter riot. On other hand, Samantha’s mother and husband’s encounters would made your stomach ache with laughter. Their Hindi version “Jeanie aur Juju” and “Shararat” were also good but was not able to surpass the original. Evening time 7.30 on the clock, mother starts the TV and voice of a young boy came from inside the room “Mom, please slow down the volume of the TV. I can’t bear the sound of that crap”. After half an hour mother is watching her favorite serial “Balika Vadhu” and suddenly the phone rang. Again, the voice of son came from inside room “Mom your call, someone wants to talk to you”. Mother’s reply,”I am watching my favourite serial. So, please tell him to call later”. Aunty (with serious expression)- Mausiji is coming from Bengal then I am sure everything will be fine. Mother (with more serious expression)- Yes, Mausiji is very smart. She will solve the problem. Me (with Surprised expression) – Which problem you both are talking about and you have an aunty in Bengal. You never told me ? Mothern (now amused) – I don’t have any relative in Bengal. We are talking about the serial. Me (with Shocked expression) – What?? Worst of all is some youngsters also like to watch daily soaps and this become a serious problem as these serials are addictive and their studies suffers due to this. The people who can stop them are already victim of this disease. They are not realizing that quality time which can they spend together is wasted in TV serials. After all this only one question came to my mind.. WHY? Why these serials are so much popular? money is coming out of it. People get free time around 8 to 10 to watch. They start watching the serials available there. 2. Idealistic old values : I remember an article based on Ekta Kapoor’s serial when it was started only (13 years ago) saying that “Ekta has brought back our Indian Ideologies. Celebrating every single festival on her shows give it Indian touch.” This is the reason people belongs to rural areas also like these shows a lot. Bahus belongs to these serials are not working, wearing vermilion, heavy sarees and jewellery make it complete Indian daughter in law (DIL). People love these things in fact sometimes they want their DIL to behave in the same way. 3. The Myth that serials are based on social issues : When “Balika Vadhu” was started on Colours channel 6 years back, it got the breakthrough success because of the new concept. 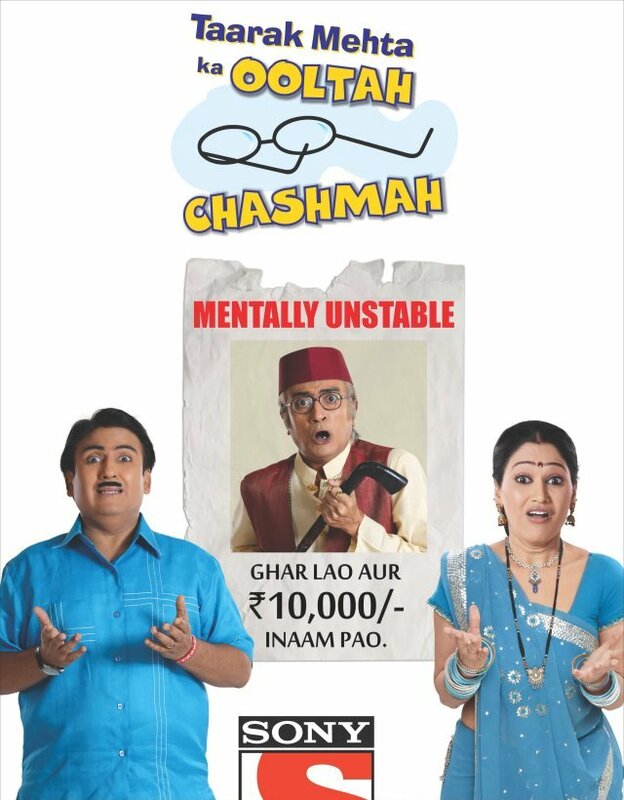 But after 2 years serial lost its concept and become a usual Saas bahu show. I don’t think that the rate of child marriages has gone down because of this serial or any kind of revolution was started. People watch these kinds of serials and forget it immediately. So, another money making theory of producers. 4. Different way of showing fairy tales : Poor girl getting married to rich boy, almost all serials follow this format. The poor peoples of these serials are so poor that they can’t even afford school/College fees and rich people are so rich that Ambani’s feel low in front of them. The conclusion of this article is that you can’t change our elder’s mentality and there is no point of arguing with them. But the younger generation (our generation) can avoid this crap. This is not only waste of time, but it will ruin your intellect. Look outside your idiot box, India has reached to the mars and you will surely get the things worth to explore.